Ventilation involves the removal of stale and/or moist air from the interior of a home, and its replacement with fresh air from the exterior. 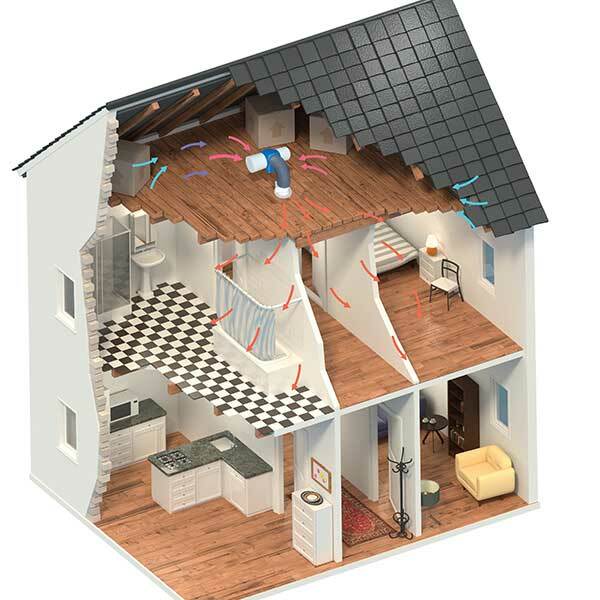 Buildings are ventilated through a com­bina­tion of uncontrolled ventilation (draughts, air bricks and trickle vents, etc) and, increasingly in new homes, controlled ventilation solutions such as mechanical ventilation with heat recovery. Another solution, which needs designing in from the start, is passive ventilation. 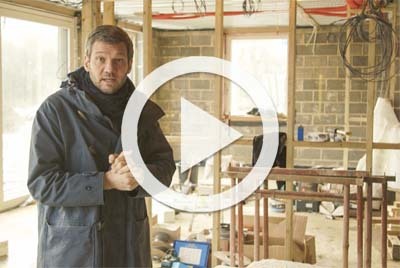 For many existing homes, airbricks and trickle vents have been the solution of choice. They are cheap to install, comply with Building Regulations and are understood by most builders. Airbricks can become blocked by dirt, debris or vegetation outside the room; or conversely, curtains or furniture inside the house. The most controllable ventilation systems are ‘active’ with fans to create either positive or negative pressure in the home. Often, carefully designed ductwork is used to balance the system across the building. Building Regulations currently requires an airtightness of 5m3/m2/hr@50pa, which is approximately half an air change per hour, and as the airtightness improves, so does the requirement for controlled ventilation – most commonly in the form of MVHR – in order to maintain a healthy environment without the needless loss of too much heat. One of the key benefits of MVHR is improved air quality. Plus, the removal of pollution and airborne allergens, such as pollen, means such systems are highly beneficial for allergy suffers. However, MVHR systems are not suitable for all new homes. The more airtight the house, the more effective the MVHR system will be, and it is generally accepted that 3m³/hr/m² level is necessary to see real benefits. Thus, your new home needs to be suitably airtight to ensure a MVHR system will work efficiently. MVHR systems are also best designed in and installed from the outset, due to their ductwork. Thus such systems can be difficult (but not impossible) to retrofit into existing properties. The extract units for mechanical ventilation system needed to be ‘commissioned’ (whereby airflow is balanced throughout the home) before use. This system is by Beam Vacuum & Ventilation. The design of the system and the building envelope is critical with both of these systems to ensure an even flow of air and to avoid any ‘blank spots’ in the property. PIV is primarily for existing homes with a loft space. The system works by gently supplying fresh, filtered air into the property from a unit installed in the loft area, and via a distribution diffuser mounted in the ceiling. The central unit draws air from either the loft or outside, filters it, and delivers it into the property, creating a positive pressure which, in turn, forces the stale air out. A positive input ventilation system introduces fresh air to the home from a unit placed in loft space. This system is Nuaire’s Drimaster. 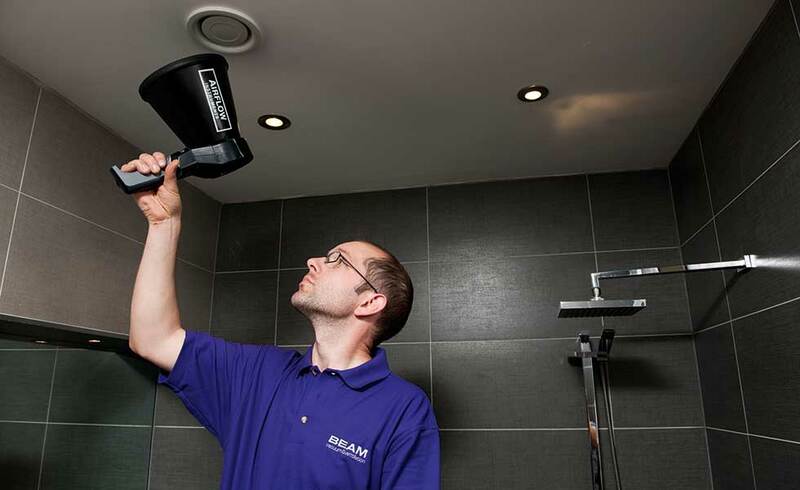 MEV is almost the opposite of PIV and is effectively a centrally situated fan that gently extracts stale or moist air from points of high humidity such as the bathroom or kitchen. This creates a negative pressure, which theoretically draws fresh air evenly into the property through the envelope of the building. The cost of a PIV or MEV unit can range from around £200 to £900. That said, a MEV system may require more installation ductwork than the PIV, and therefore have a slightly higher project cost depending on accessibility. These are still significant savings when compared with MVHR systems, especially in homes where the heat recovery element would not be effective and ductwork would simply not be practical to install. 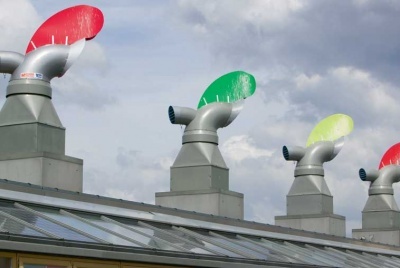 There are passive ventilation options that rely on prevailing wind or natural buoyancy rather than active fans to move the air, and offer better air movement and efficiency than trickle vents and airbricks. Warm air rises and by installing carefully designed extract vents at high level, it is possible to use this natural buoyancy to create an upward movement of warm, stale air. An air inlet placed at low level provides fresh air. The incoming fresh air can be passed through a special heat exchanger to recover heat from the extracted stale air in a similar way to the active heat recovery systems. 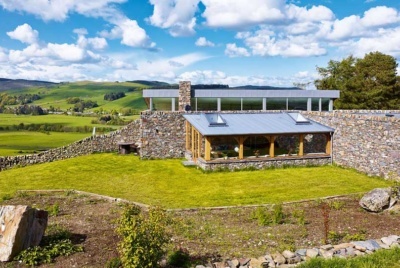 Architects Catherine Roberts and Steven Harris designed a passive ventilation system for their new home in Wales. 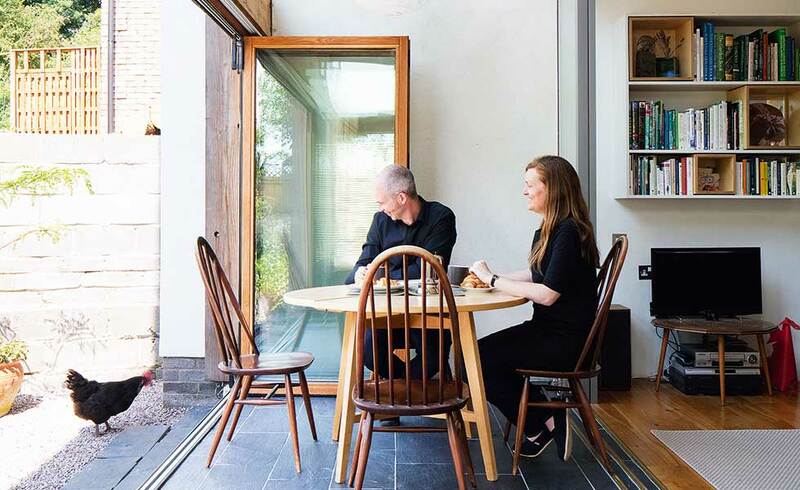 Warm air fills the glazed south-facing internal conservatory and can be released up throughout the house through first floor opening windows. 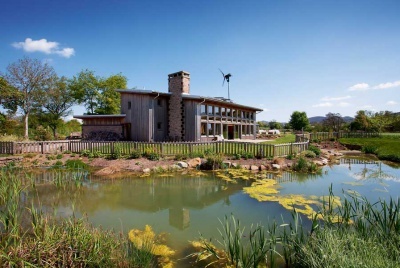 Prevailing wind systems have bespoke ‘split chimneys’ that are installed in exposed areas such as on the roof. One side of the chimney lets air into the property and the opposite side draws it out. The positive pressure of the prevailing wind on the windward side pushes the air into the property and the negative pressure of the leeward side creates the extract. There is a heat exchanger to recover heat and there are dampers in the system to prevent over-ventilation, but in the absence of wind the system will have to rely on natural buoyancy alone.